Nobody knows Bangkok like Royal Thai Police Detective Sonchai Jitpleecheep, but now he is heading out of his comfort zone. Way out. Assigned to the highest-profile case in all Thailand, he is tasked with ending international human-organ trafficking. 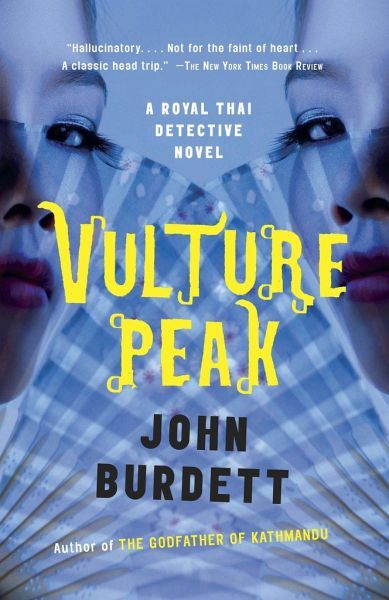 His hunt will lead him across five countries and will draw in a host of unwitting players, including an aging rock star wearing out his second liver, and his quarry, twin Chinese queenpins of the international body-parts trade known as the Vultures. Meanwhile, there are rumors at home that Sonchai's wife is having an affair. Although he has always known about her disreputable past, this is something else entirely. Confronting the rumors-and controlling his jealousy-while embroiled in the most contentious case of his career may well be more than this detective's Buddhist soul can handle.